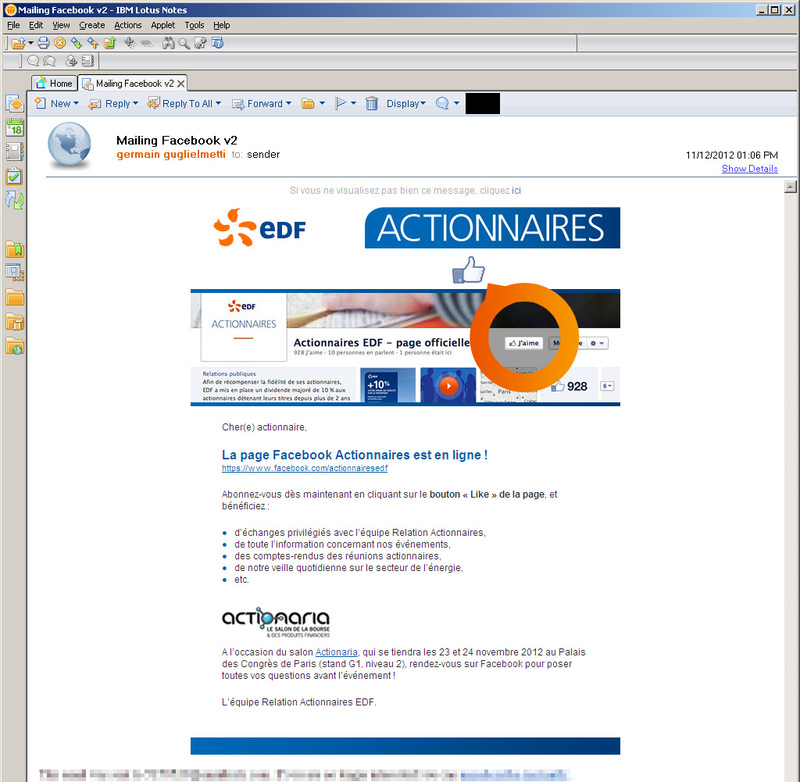 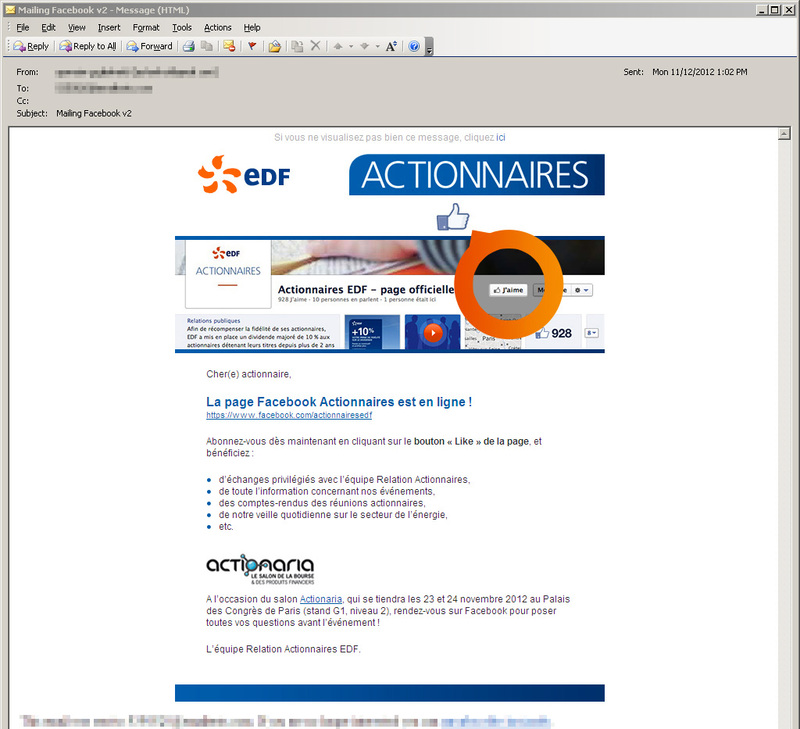 This e-mailing announced the launch of EDF Actionnaires’ Facebook page. 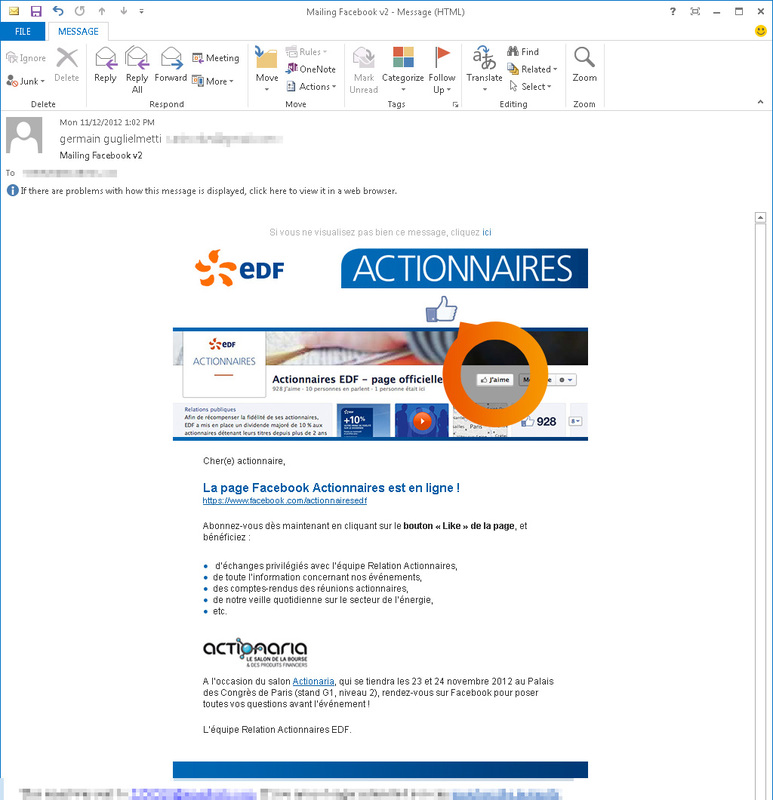 It was sent to thousands of contacts, using a wide range of e-mail clients (from IBM Lotus Notes 6.5 to MS Outlook 2013), and mobile devices. 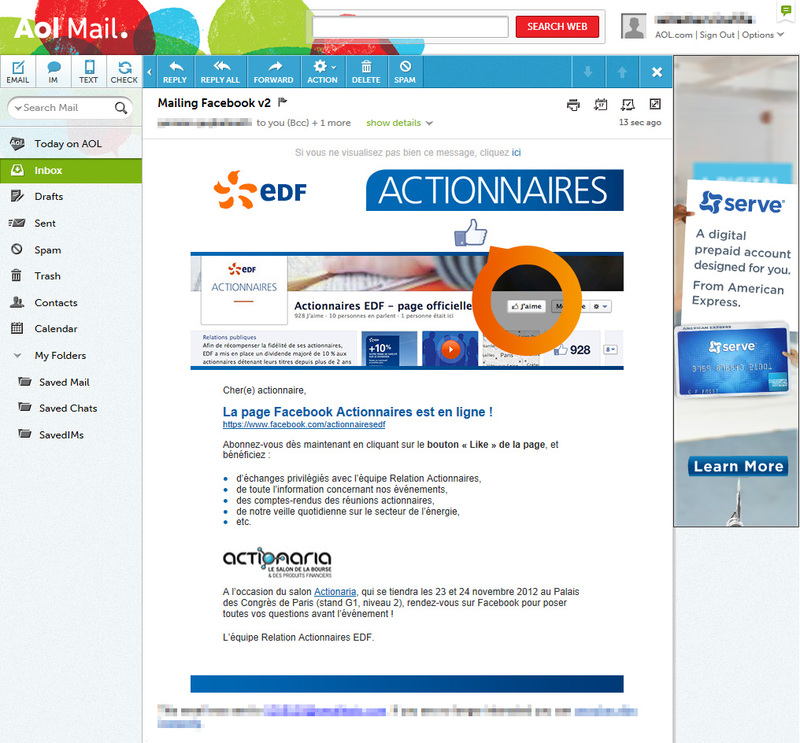 We used our own softwares, along with Campaign Monitor’s design tests, to ensure perfect readability across screens. 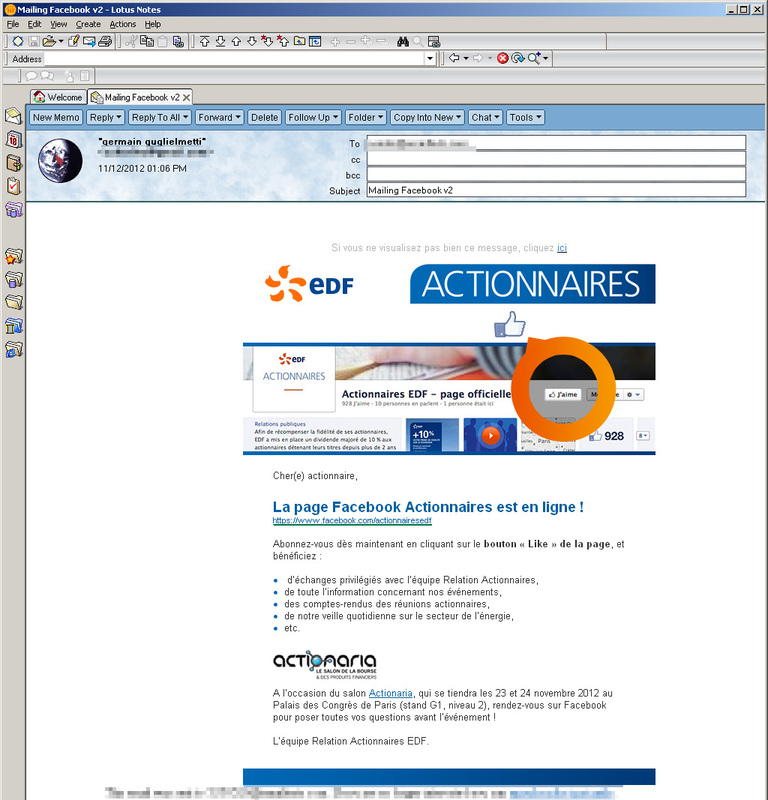 Routing performed customer-side on dedicated service.